One thing about a pet fly — it’s easy to care for. It can also give you pause to contemplate 20th century philosophy, should you feel the impulse to do so. 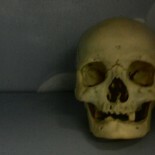 I think Wittgenstein might be dead. Well sure. Everybody knows that. But I’m talking about a different Wittgenstein. For several weeks now Barbara has been back in St. Catharines packing up the house and arranging for the final big move here. This, of course, means I’ve been living on the farm by myself. Well just me and one fly. No matter where in the house I tried to work, this fly would follow me. As soon as I was settled, he’d buzz around my head a few times and then land on my wrist. The pattern was invariant. It didn’t matter if I was typing, he’d buzz my head then land on my wrist. For a few days he drove me nuts and I did what any sane person would do – I got out the flyswatter and flailed away in the air like Bugs Bunny conducting Figaro. I think I nicked him a couple of times, but could never land a solid whack. Anyway, I started to get used to him and after a while he learned to land further up my arm on my sleeve. This had the advantage for him that it didn’t move as much when I was typing, and the advantage for me that he was no longer tickling my wrist. So I adopted a live-and-let-live attitude, and since then it’s been just the two of us. But roommates, even if they’re flies, should have names, and when it came to christening him I didn’t even have to think. Wittgenstein was the only possible choice. Apparently this is a fly bottle. Who knew? 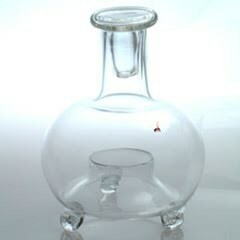 Now I’m sure that many of my readers these days don’t know what a fly-bottle is so let explain that neither do I. But that’s not important. 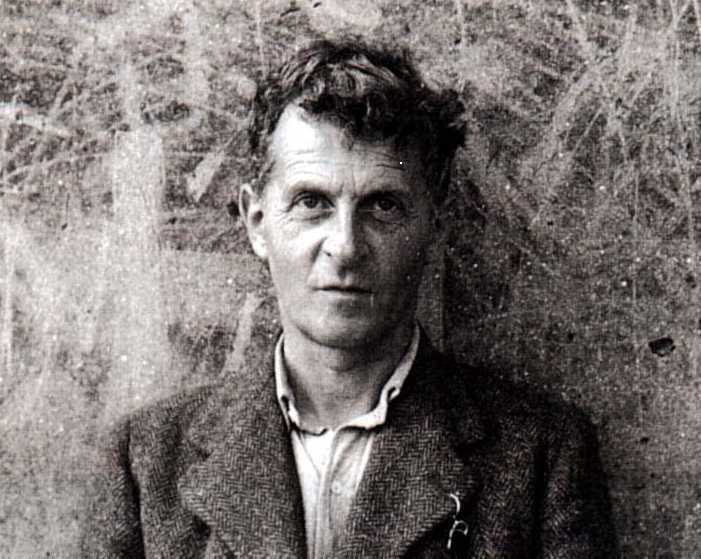 What Wittgenstein (the philosopher) was trying to say was that philosophy should be a means by which we can escape the trap of our own delusions and break free into the wider world around us. In any event, the ultimate point is that I haven’t seen Wittgenstein (the fly) since yesterday, and while I’m not saying I’m getting worried, I’ve started scouting the corners of rooms for little fly bodies. But I prefer to believe that he just found a way out of the fly-bottle.